Because of its reduced size, this oven is specially designed to be installed in sales outlets. It allows for a wide production range of high quality cooking: from bread to confectionary, to pastries. Hot Air Cooking Oven, easy to use and clean. Static cooking. Analogue and digital control panels, very practical and easy to use. Powerful steamers to give a perfect shine to bread. Internal coating composed of a special fibre to completely insulate heat, reducing heat loss to a minimum. The fuel tank is in the lower part of the oven, with options for gas, oil, or electricity. Two models available. One for 10 trays of 800×500, the other for 7 trays of 800×500. (It can also be adapted to trays of 600×400). 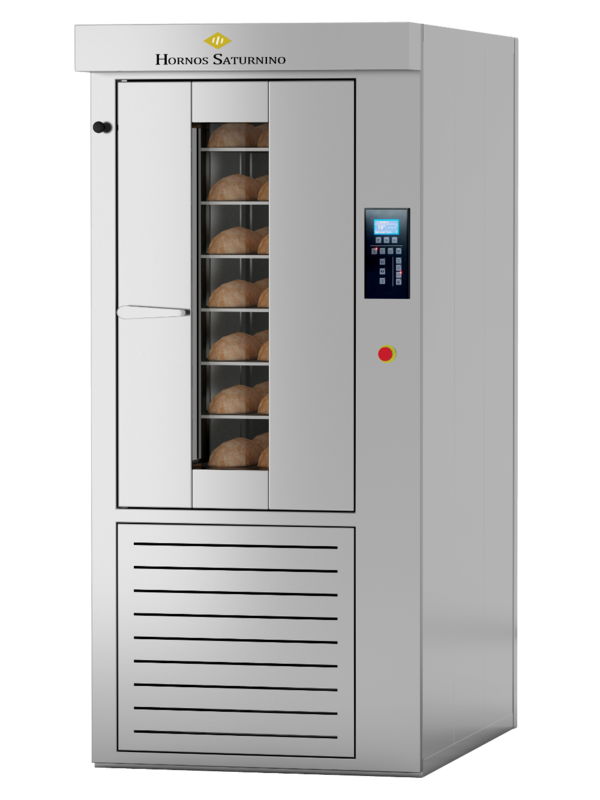 previousANNULAR TUBE OVEN MODEL STA.